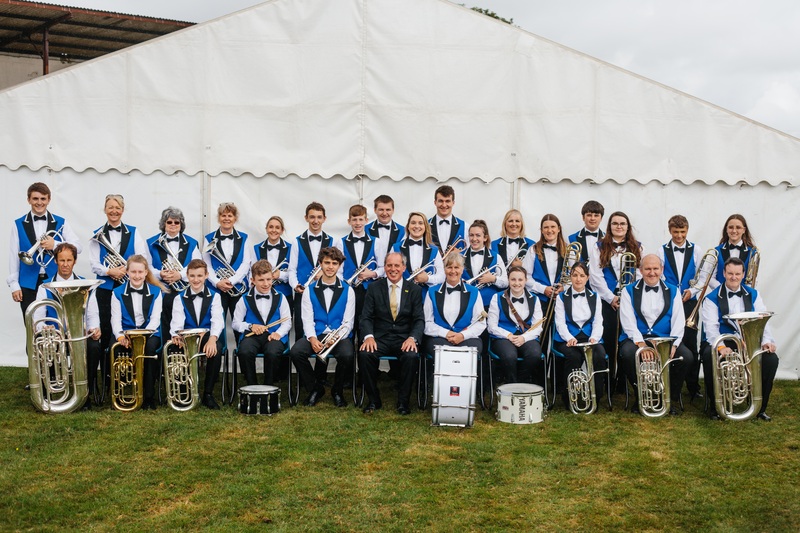 We are delighted to have received Heritage Lottery funding so we can work with Camborne Youth Band on plans to travel to the Menin Gate, Belgium, in August . This is part of our project, Heart of Conflict, marking the centenary of World War One in Cornwall. The Band has been invited to play at the Menin Gate – a great honour. And…. we have discovered that the great great grandson of Fred Negus, a Cornishman who was stationed in nearby Estaires (one of a group of Dolcoath miners), plays in the Band and has Fred’s bugle. Click here to listen to a recent interview about this on BBC Cornwall. The Band will travel to Estaires before playing at the Menin Gate to lay a wreath on the local war memorial and play Fred’s bugle back in the town 100 years on. The Band will also visit the grave of Thomas Penhorwood, a Newquay policeman who was killed in 1915. This trip is packed with stories and coincidence. The Cornishmen in Estaires were part of the 25th Field Ambulance (Royal Army Medical Corps). They had been in the St John’s Ambulance at Dolcoath mine, and all signed up in 1914 at the start of the war. We’ve discovered that these Cornishmen played three rugby matches at the Front in 1915 after Camborne Rugby Club sent out a ball. Camborne Rugby Club will be sending out another ball, signed by members of the Devon and Cornwall teams, in August. We’re planning to stage an exhibition at Heartlands, Pool, on its return to tell everyone back home about the trip.